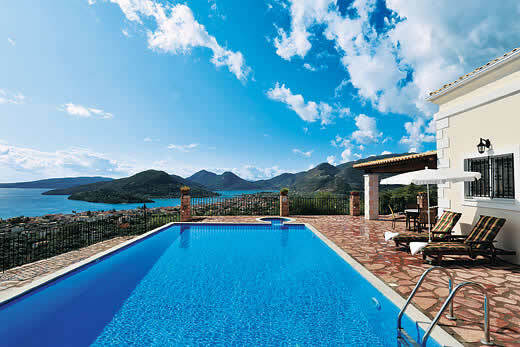 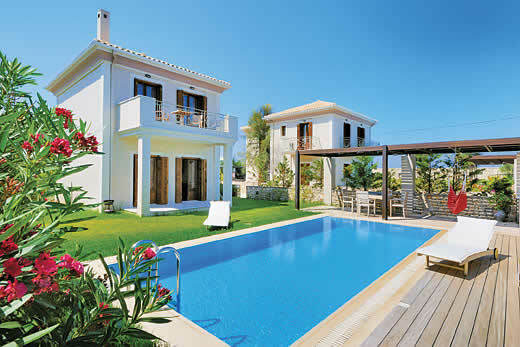 Christy villa - Lefkas , Greece . 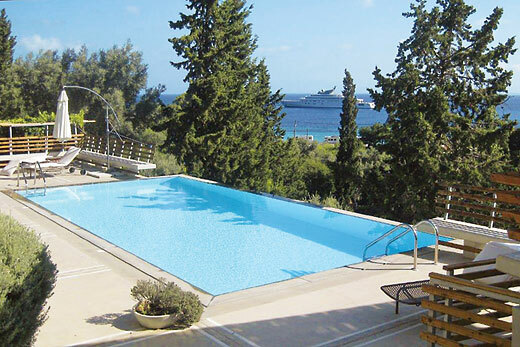 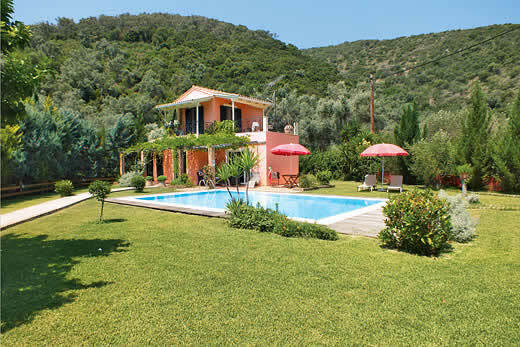 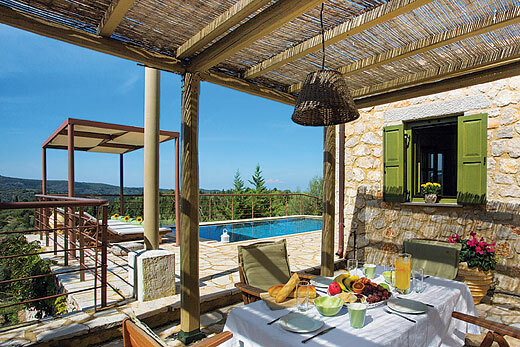 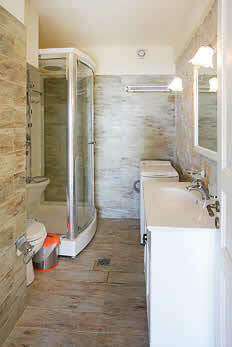 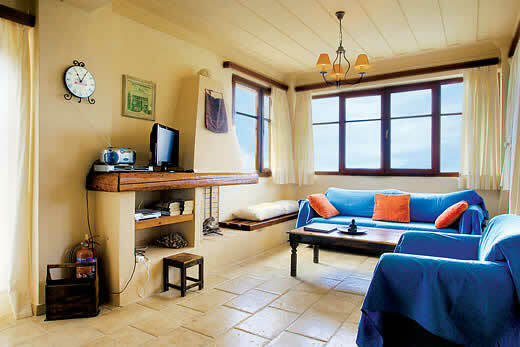 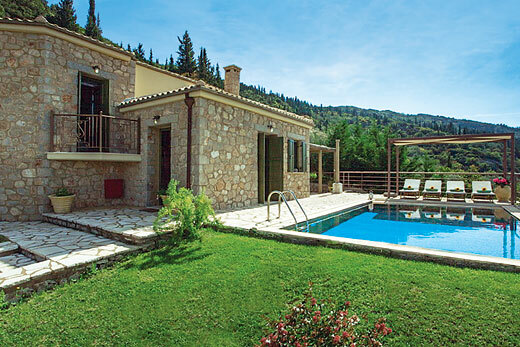 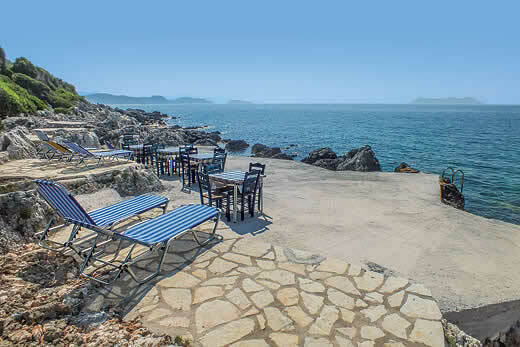 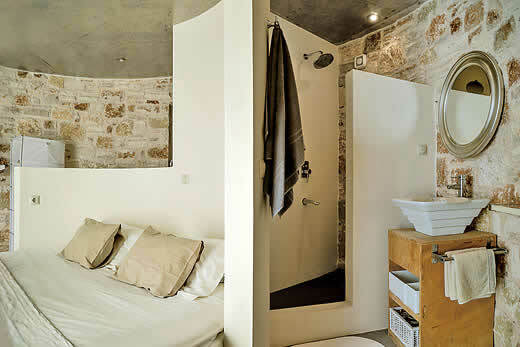 Self Catering Family Holidays and Short Breaks in Lefkas. 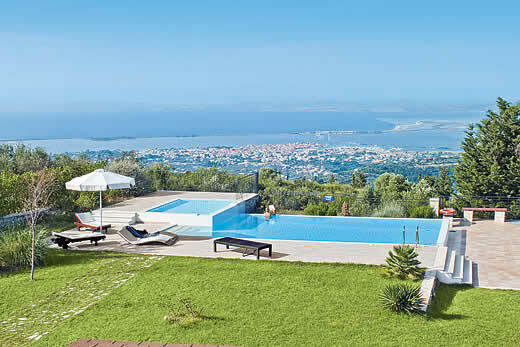 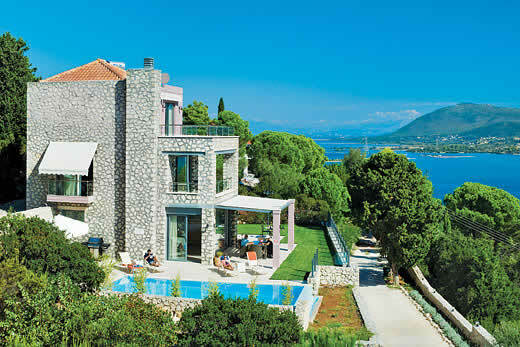 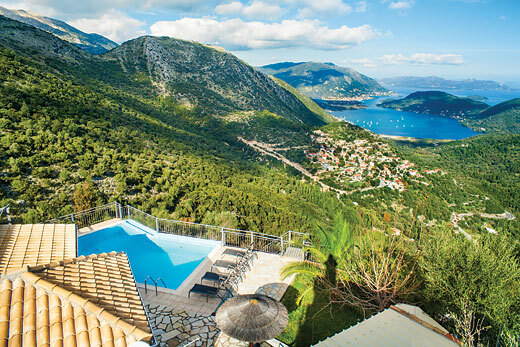 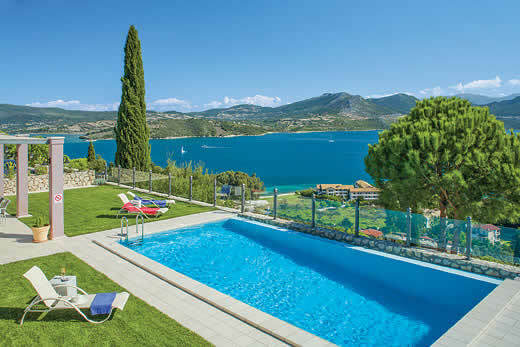 What we think of Christy villa in Lefkas:Set in an elevated and offering uninterrupted sea views, villa Christy is a delightful 5 bedroom stone villa. 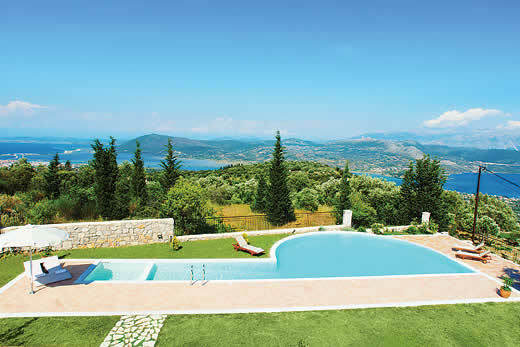 Furnished to a modern and very high standard, his spacious property is the perfect choice for those seeking tranquillity whilst having the resorts of Nidri and Lefkas only a short drive away. 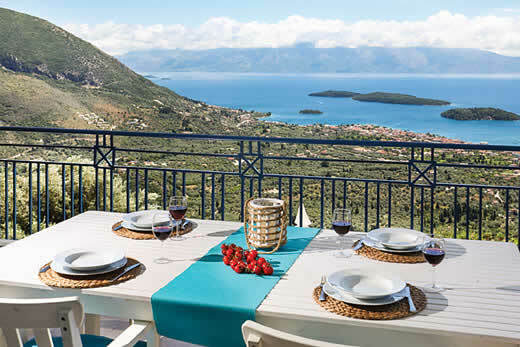 Patio doors from the lounge to a large lawned garden with a swimming pool and to the side is a large covered dining area to enjoy the spectacular views while dining al fresco. 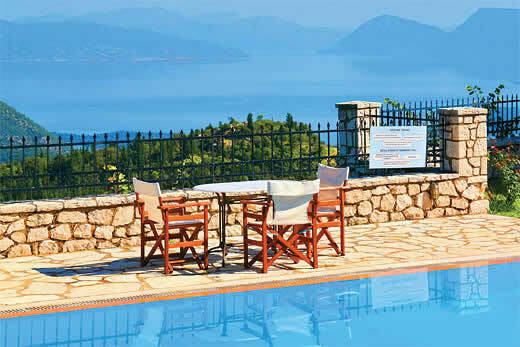 Holiday offers and last minute deals in Greece from only £3322 - Don't miss out book your holiday with uk-holiday-offers.co.uk today!